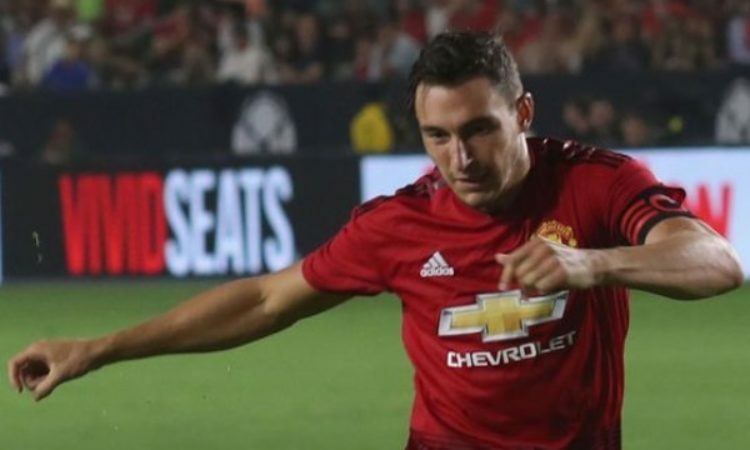 Seria A side Lazio are reportedly eyeing a move for Manchester United defender Matteo Darmian. The Manchester United fullback, according to Gazzetta dello Sport has made his mind to leave the Old Trafford, and Lazio are hoping to lure him when the January transfer window opens. The 29yr, who arrived the Old Trafford club under Van Gaal back in 2015, lost his place under the Jose Mourinho era, with the Portuguese opting for Antonio Valencia. The further acquisition of Diogo Dalot last summer, pushed the player further down the pecking order. Stats has it that he has featured for just 21 times in all competition since August 2017. Now a return to Italy seems very likely for defender who has previously featured for AC Milan, Padova, Palermo and Torino while he was in Italy. A fee reported to be in the region of £12 million is likely to be agreed between the two clubs while Darmian himself could pen down a long term commitment to the Rome based football outfit. Meanwhile it remains to be seen if Manchester United Interim boss Ole Gunnar Solskjaer will allow the move considering the Red Devils fixture list coming up in January and February.